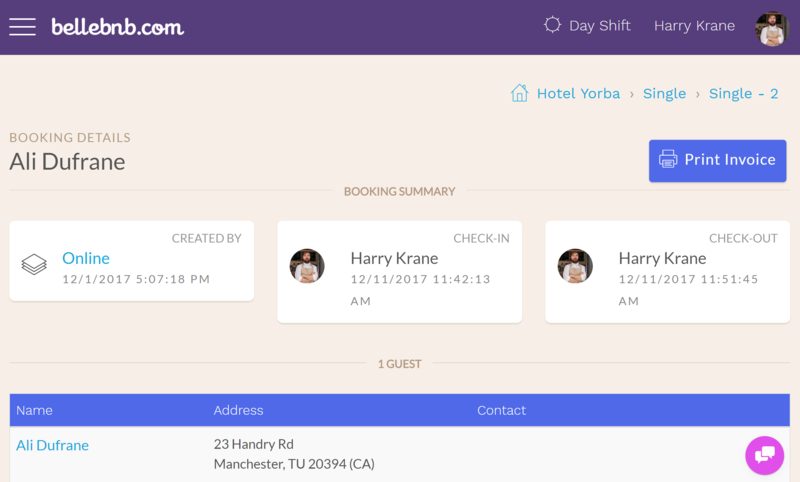 ﻿ Hotel Management Software How to Print an Invoice The invoice for a reservation is available to the hotelier and guest at several stages throughout the lifetime of a booking. In this brief post we review how find and print an invoice. The invoice for a reservation is available to the hotelier and guest at several stages throughout the lifetime of a booking. In this brief post we review how find and print an invoice. 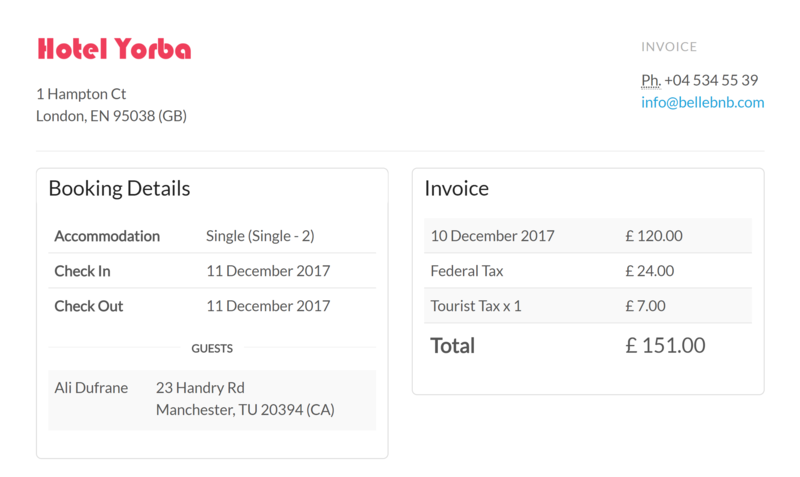 The printable invoice for a booking becomes available to the hotelier once the reservation has been checked in, or cancelled. After you have completed check-in, go to ‘Actions > Print Guest Folio (Invoice)’. Some hotels tend to use the term ‘Guest Folio’ while the reservation is active. For reservations that have already been checked out or cancelled, you can just click ‘Print Invoice’. In either case you get a simple, printable invoice. The logo used is the one set by the hotel under ‘Settings > Dashboard > Edit Hotel’. The invoice is also available to the guest after they have checked out. 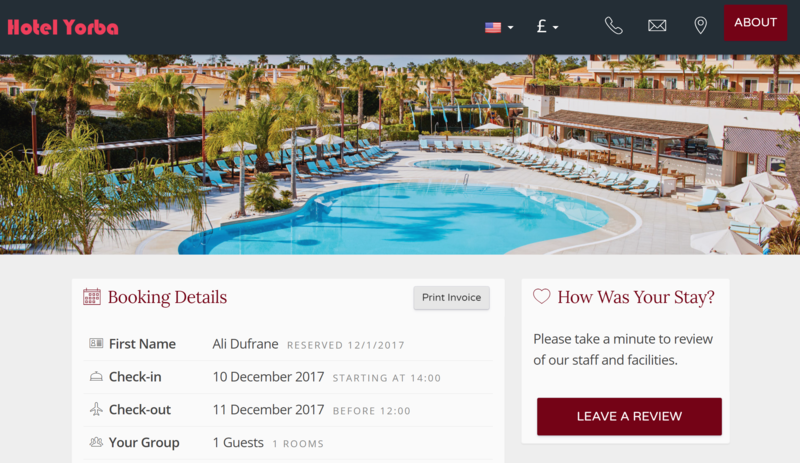 The guest will receive an email directing them to the guest portal section of your booking engine. From there, they can leave a review if you have enabled your review engine, or just print their invoice. 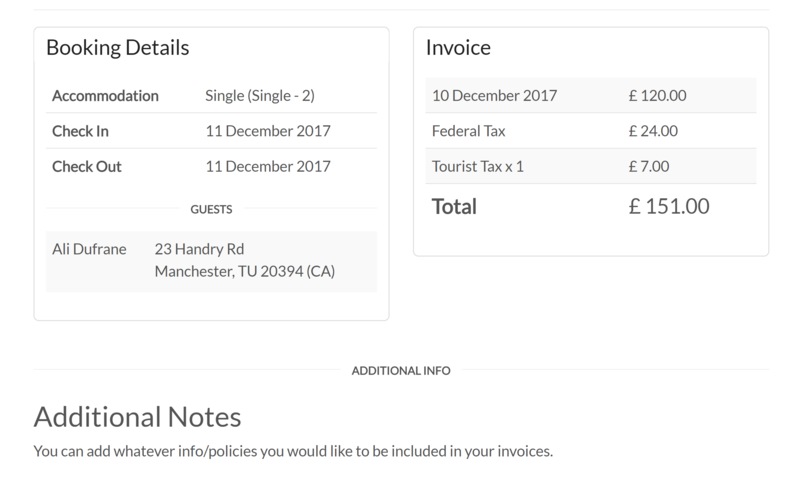 You can display additional hotel policy/info in your invoices. 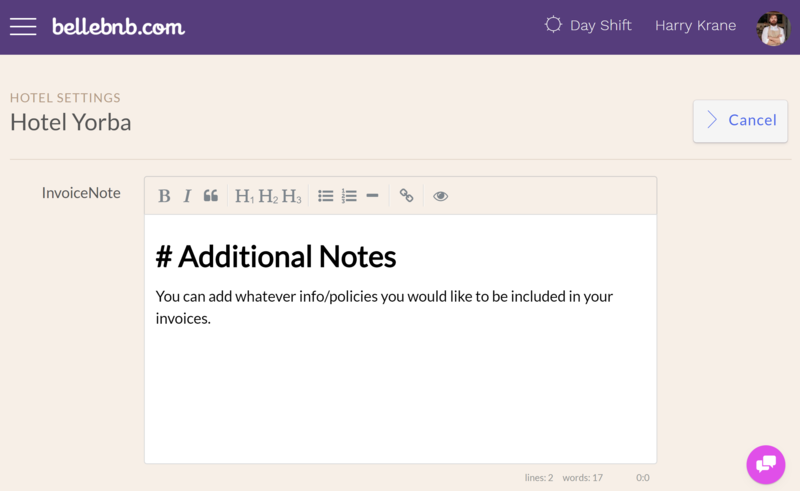 Go to 'Settings > Dashboard' and scroll down to the 'Additional Notes' panel. You can add whatever additional information you would like to display formatted in Markdown HTML. For an overview of Markdown HTML, read read this post. 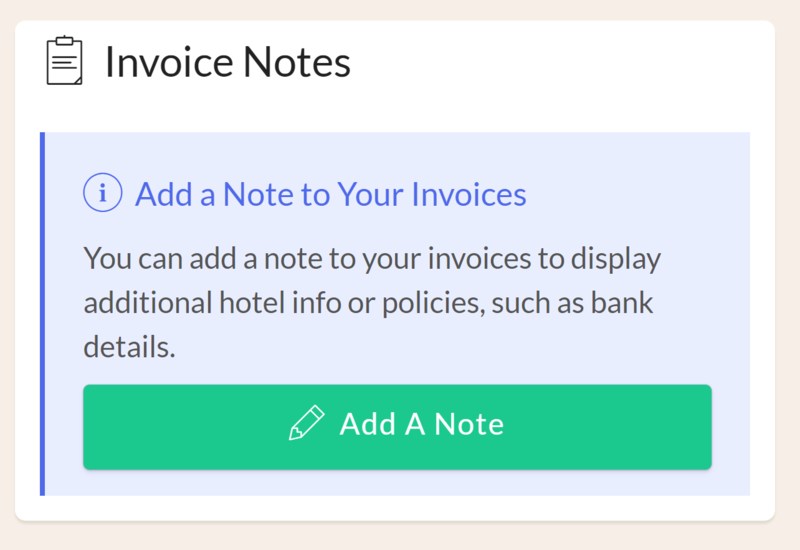 Your notes appear after the guest info and line items of your invoices. Electronic invoices are secure and available only to your guests. 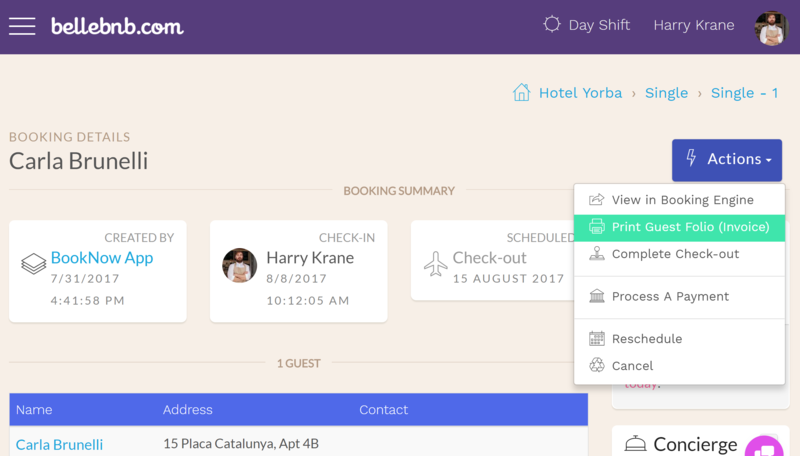 The printable invoice is accessible to both guest and hotelier during the lifetime of a reservation. The invoice is light-weight and easy to print, but also customizable to your brand.